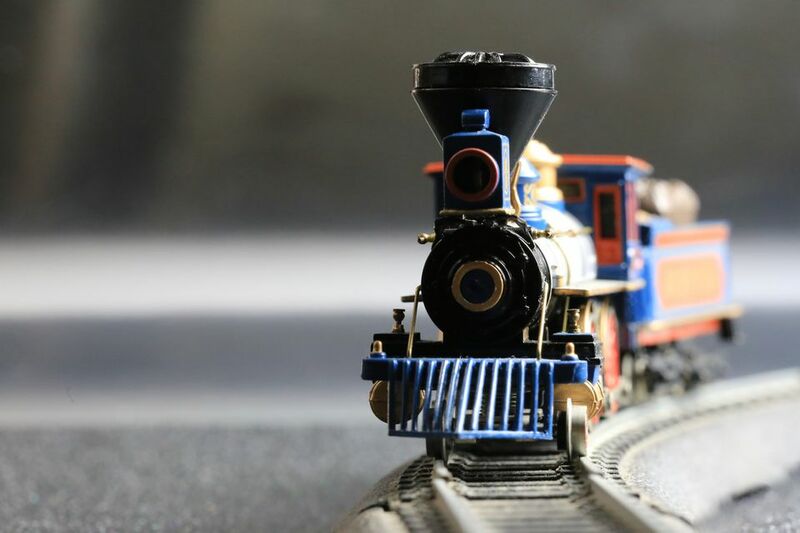 As major model train manufacturers specialize in ready-to-run models, the world of model kits has been filled with many smaller makers. Since they work in smaller runs, these makers can't afford the tooling that supports mass-marketed models. Instead, they use smaller molds and cast their products in resin. Smaller runs can open up opportunities for less common models. If you have a specialized interest in a specific prototype railroad or era, resin kits may be the best way to get the cars you need. Even having one or two of these kits can break up a consist and keep your layout looking like everyone else's. Don't let a different building material scare you away from a rewarding modeling experience. With a little patience and practice, you'll soon be looking at the specialty kit marketplace in a whole new light. As with any kit, the first step to success is understanding how you'll get there. Study any new kit carefully. Make sure you have all the necessary parts and read through the instructions. Remember that most of these companies are small operations, often only a single person. These are kits for modelers by modelers. 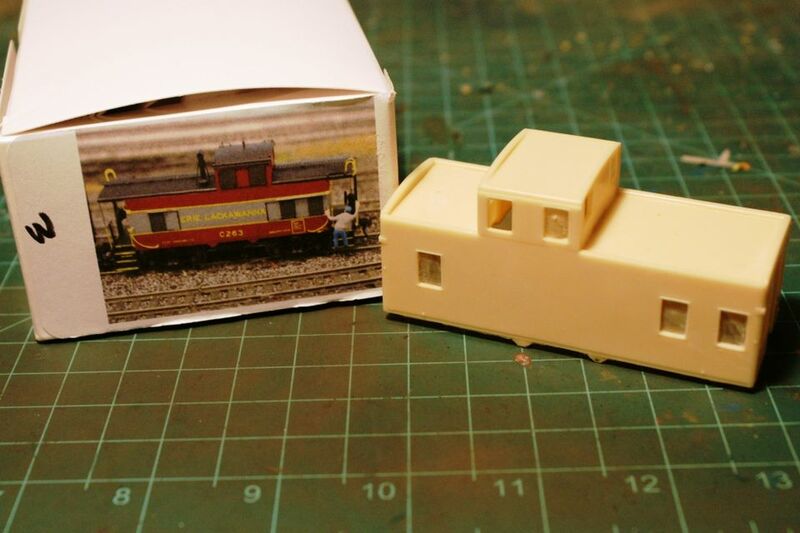 It is not uncommon for a kit to be developed because the maker wants one for their own layout. Once you've made the molds, why not make more and potentially earn a few dollars to subsidize your hobby? It is not uncommon for resin kits to lack common parts like trucks and couplers. It is cheaper for a small manufacturer to leave these out of the kit than to cast new parts when they are easy and less expensive to obtain directly. Planning ahead will keep you from stopping progress to obtain missing parts later. Not all kit instructions are created equally. Some craftsman kits will provide a complete history of the prototype, painting diagrams, and very detailed modeling instructions. Others will be typed on a typewriter with hand-drawn sketches to guide your assembly. Most will assume that you have a basic understanding of modeling, railroad terminology and kit building. A common issue with resin kits is flash or thin excess material around the edges of parts. You'll find this on conventional plastic kits where the mold separates. Cleaning flash is not hard. A sharp hobby knife will make short work of most flash problems. A small file or emery board can be helpful too. Due to the less predictable nature of the molds, you may also find thin and thick spots in the walls of kits. A good set of files and emery boards is a good tool to have on hand to take care of any rough spots and ensure a good fit. At worst, you may have to reinforce, reform or replace small parts with styrene. In addition to cleaning up the excess materials, it is also important to wash off the models before painting. Residue left behind from the mold release agent can prevent paint from adhering to the resin. A little soap and water will usually do the trick. Some release agents need to be cleaned with special chemicals. If this is the case with your kit, it will usually be noted in the instructions. Due to the less predictable results of this style of part casting, it is not impossible to get a warped part. Moderately warped pieces can be straightened without any damage. Clamp the part securely to a flat surface. Avoid over-tightening the clamps, or insert a spacer to spread the pressure so you don't damage the part. Use a heat gun to gradually warm the piece. Too much heat will melt the part. Heat it slowly and evenly for a few minutes. Allow the part to cool before removing the clamps. If the part has not straightened, re-clamp and try again. Don't have a heat gun? Hot water also often works. Most resin kits can be assembled using CA (cyanoacrylate). This adhesive can be found in most hobby shops in a variety of viscosities. Thinner CA's are useful for small parts and will flow easily with capillary action. A thicker CA can be helpful when you don't want the glue to run. Accelerants are also available to instantly harden the adhesive. CA will bond instantly to your skin. It was initially developed for use in closing wounds. Nail polish remover will break the bond. Do not try to cut or pull parts off of your fingers with force. Like most adhesives, it is harmful if swallowed or if it gets in or near your eyes. Use basic precautions and common sense. CA will bond resin to resin and resin to metal. For most parts, it is easiest to apply the CA with a small micro-brush or with a piece of wire. Pour a drop on a scrap of plastic and transfer as needed to the kit. A little goes a long way. Few resin kits come pre-painted. Painting models can be another daunting task for a beginner, but like the kit construction, it gets easier with practice. Most freight cars have just a single color and can be painted easily using an airbrush. Painting is usually best done after the basic assembly of the kit is complete but before adding all of the smallest details. This is especially true if lettering needs to be applied ​to grab irons, ladders, etc. It may be easiest to paint these parts while they are still on the sprue. Prior to painting, a gentle wash to remove residue from casting as well as the oils from your hands through all the handling of the kit is always a good idea. After painting, apply decals or dry transfers to letter the model. Whether it is a craftsman kit, an entry-level kit, or a ready-to-run model, every car should be checked for proper gauges prior to going to work on the layout. Given the tolerances of resin kits, these steps are even more important. Check the height and operation of couplers, gauge of the wheels, rotation of the trucks, and weight of the car. Finish the look of the car with a little weathering to suit your tastes. When it's all finished, you'll have a special model you'll be proud to put in any consist.